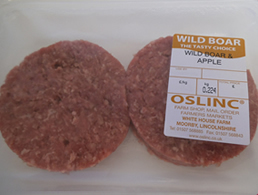 A very tasty 1/4lb burger with a fresh fruity flavour. Available in packs of 2, 8 and 25. Made fresh in our farm butchery and suitable for home freezing.